Easter is right around the corner. 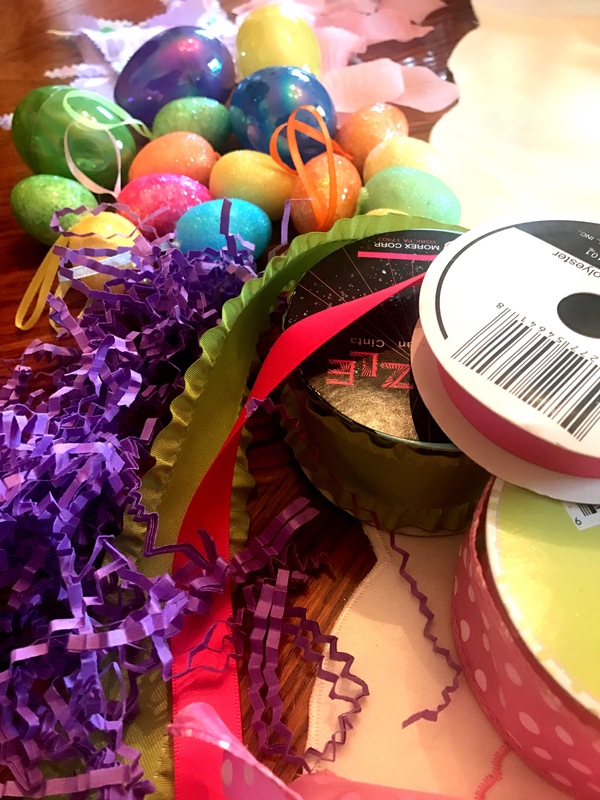 Here’s an easy, inexpensive way to add a touch of Easter decor to your home. Plus, you probably have most of these items lying around your home. 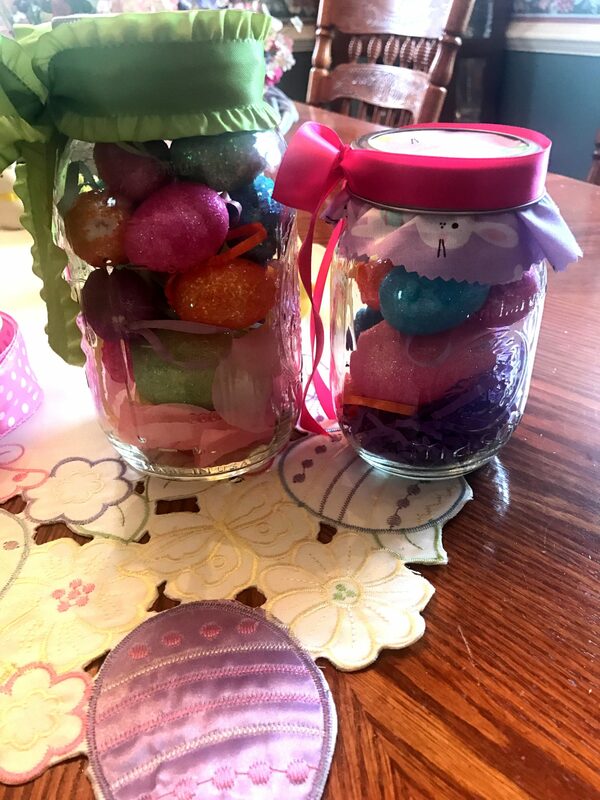 Fill mason jars with Easter eggs, candy, shredded filler or trinkets. Cut out fabric to make a skirt around the lid. Tie with a ribbon & make a bow. Pretty & Simple!